Las Tres ZZZ Green Corduroy bota bag- wine skin. Wineskin Las Tres ZZZ, covered with green corduroy, crepe interior, indicated for fishermen, hunters and mountaineers. 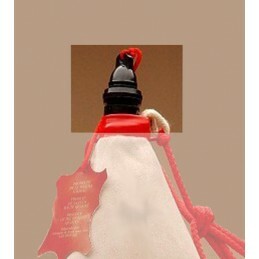 Suitable for carrying water, liquor, wine, soft drinks... Can be introduced in the water and in the frigde. Made in Pamplona (Spain). Capacities available: 1 liter or 1.5 liters. IMPORTANT: if you want other capacity, ask us.